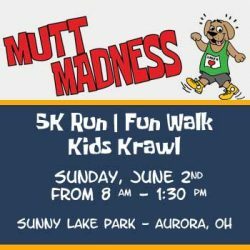 Participate in our 5K Fun Run or Walk around picturesque Sunny Lake Park in Aurora. The event is free and open to the public with registration fee for the 5K Fun Run and Walk. Pre-registration for the Run or Walk is $15 (includes commemorative tee-shirt); $20 at the event (Cash only; tee-shirt on first-come/first-serve basis). You can pre-register below. The event takes place rain or shine. 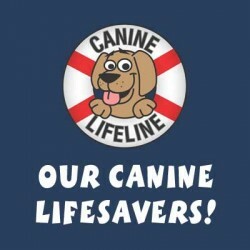 In addition to the 5K Fun Run/Walk, there will be lots of Canine Lifeline dogs up for adoption. There will also be an awesome raffle with a chance to win one of 12 great prizes in our Have a Heart Raffle, including a $500 Visa Card. Take a chance on our Canine Lifeline Prize Wheel- everybody is a winner! Purchase dog-themed merchandise for yourself and for your fido. Share a fun day with friends, family, fellow dog lovers at this beautiful locale. All proceeds benefit the medical needs of our rescue dogs.